Will these discounts boost the sales of Tata Nano? 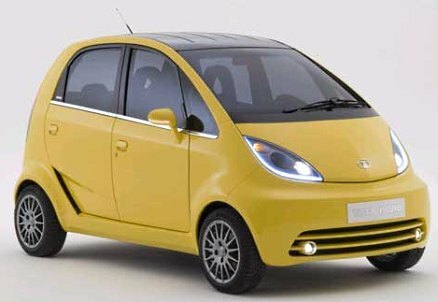 Tata Motors is offering a discount on Tata Nano across dealerships in India. CarToq contacted two dealers in Chennai and Mumbai who confirmed that Tata is currently offering a Rs. 20,000 cash discount for the Nano LX and Nano CX while a Rs. 15,000 cash discount is being offered for Nano Standard. The following table shows the prices of Nano variants before and after the discount. A dealer also mentioned that for the top-end variant LX, the initial down payment is as low as Rs. 24,000 and the EMI is Rs. 4,691 for 60 months (at an interest rate of 13.5%, same for Tata Motors Finance and other banks). The sales of the Nano were on the rise in the first quarter of 2011 and reached a maximum of 10,012 units in April. But in the months that followed, sales dropped substantially. The Nano sold 6,515 units in May 2011 to which came down to abysmal 260 units in July 2011. The wild swings in monthly sales of Nano has left everyone including Tata Motors guessing:”We are still at the early stages of understanding the market. We are going through a learning curve and are trying a lot of different things in marketing activities, like selling the car through Big Bazaar outlets,” R Ramakrishnan, Vice-President, passenger car business unit was quoted as saying by the PTI. While some may attribute the poor sales of the Nano to marketing problems despite the company announcing a host of attractive schemes, the car itself is not as reliable as it should be. There have been seven reported cases of fire accidents in the past two years (since its launch in March 2009) that put a question mark on the safety of the Nano. While Tata Motors conducted preemptive checks for fire related problems on all Nano cars, other niggling issues still prevail. For instance, a CarToq member (Aravindhan) who has had a Nano for the past 15 months faced problems such as power window switch failure, accelerator cable breakage and combi-switch failure (headlight, wiper switch assembly). Though the Tata dealer replaced all the failed parts free of cost (under warranty), his overall ownership experience has been ‘annoying’. Summing up, the cash discount may only be a temporary solution to keep the sales ticking. The real challenges for Tata Motors is to offer an entirely practical Nano, with a boot door, a low NVH cabin, improved ride quality, power steering, better brakes and good quality parts. Tata Motors, hopefully might address these in the upcoming versions of Nano to be launched anytime soon!